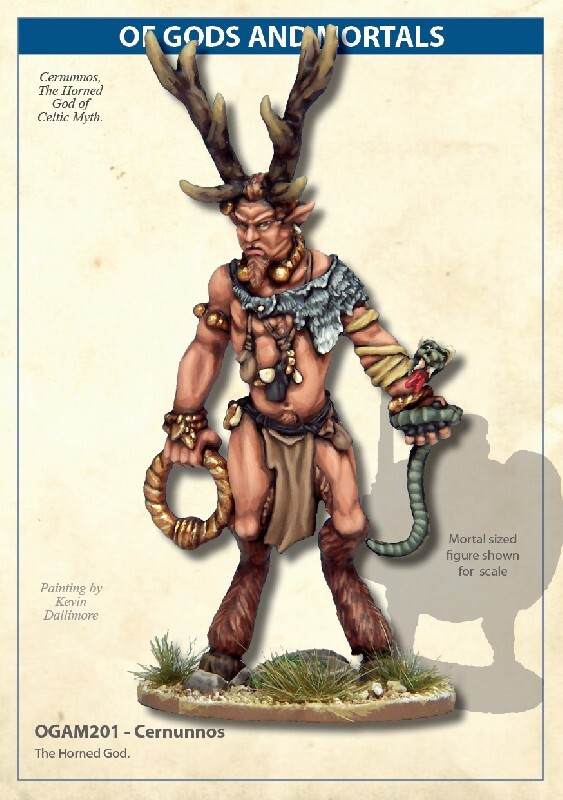 OGAM201 - Cernunnos The Horned God. Cernunnos, The Horned God of Celtic Myth. Figure stands 67mm high from base to horn-tip. Designed to be used with 28mm sized figures. Made of metal, supplied unpainted. Requires assembly using glue, some modelling experience required. Not suitable for children under 14 years old.